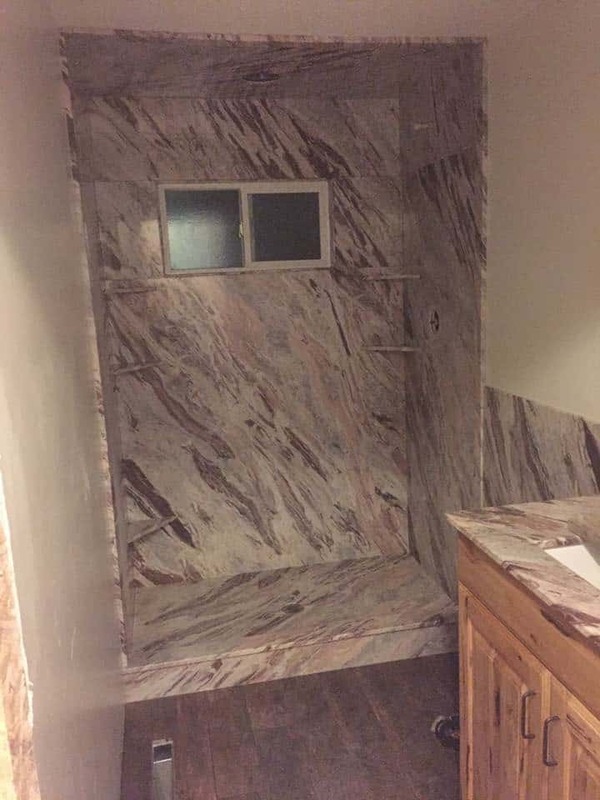 Travertine... but for a fraction of the cost of Natural Stone or Tile. Request An Estimate Today and Find Out How You Can Save! 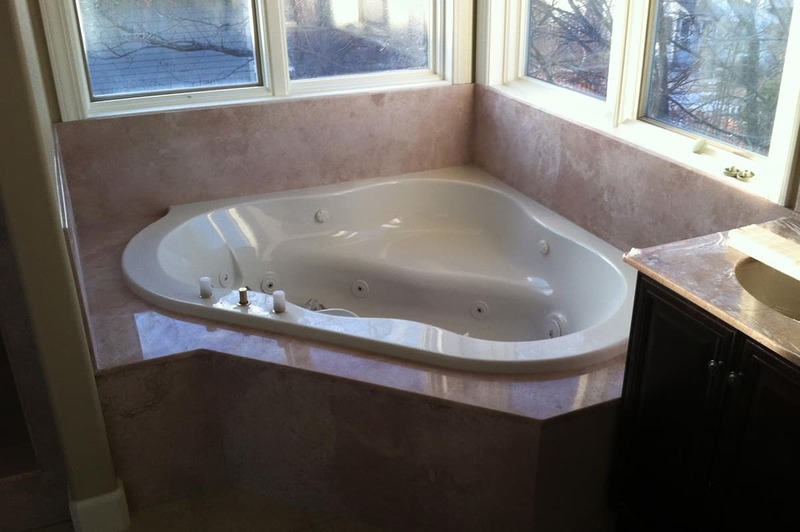 Bath Surrounds & Much More! 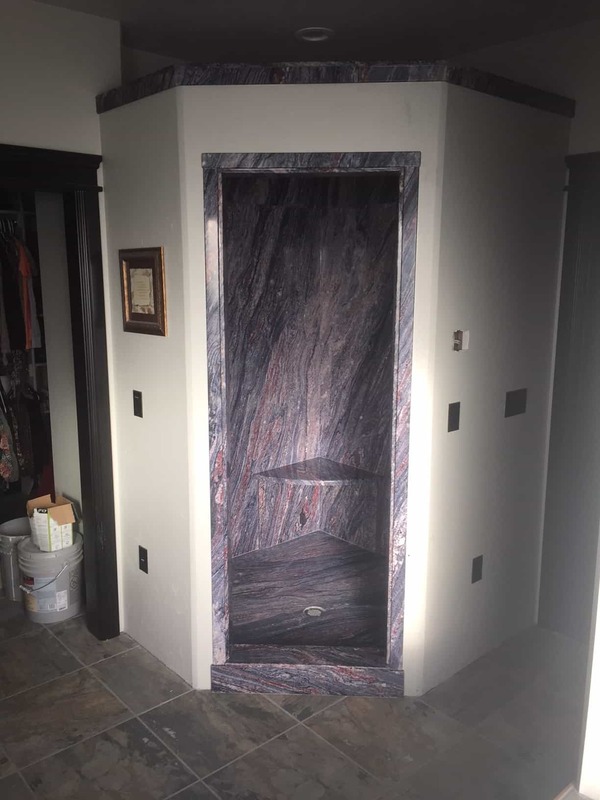 Mickelsen Marble, Inc. has been in business in Eastern Idaho since 1972, and in the summer of 2013 acquired Eagle Rock Granite, another local Idaho Falls business. 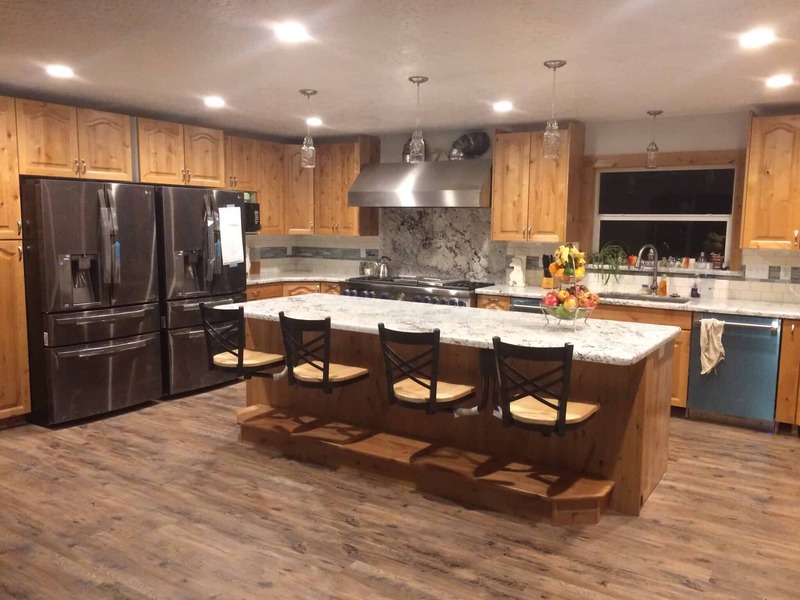 Locally owned and operated by Kent Mickelsen and part-owner Seymour Thornock, Mickelsen Marble & Granite is a TruStone™ authorized dealer providing Cultured Stone (Marble, Granite and Travertine) and traditional Natural Stone to greater Eastern Idaho and all surrounding areas. 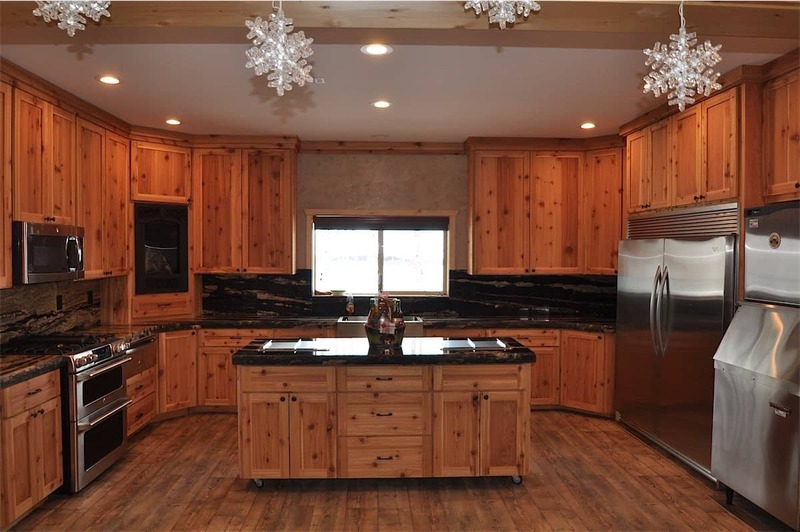 See how you can save money, request and estimate today! 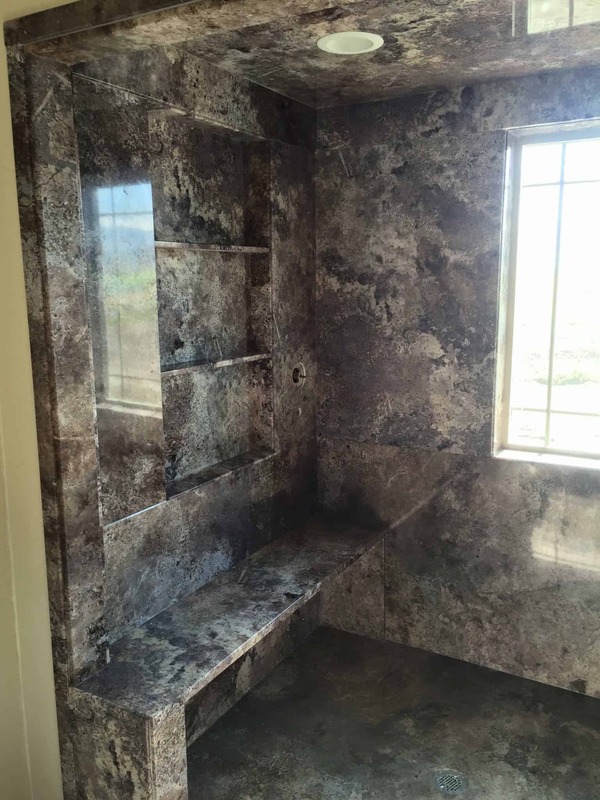 Complete Bathroom Remodel, Tear Out & Install…We can do it all! 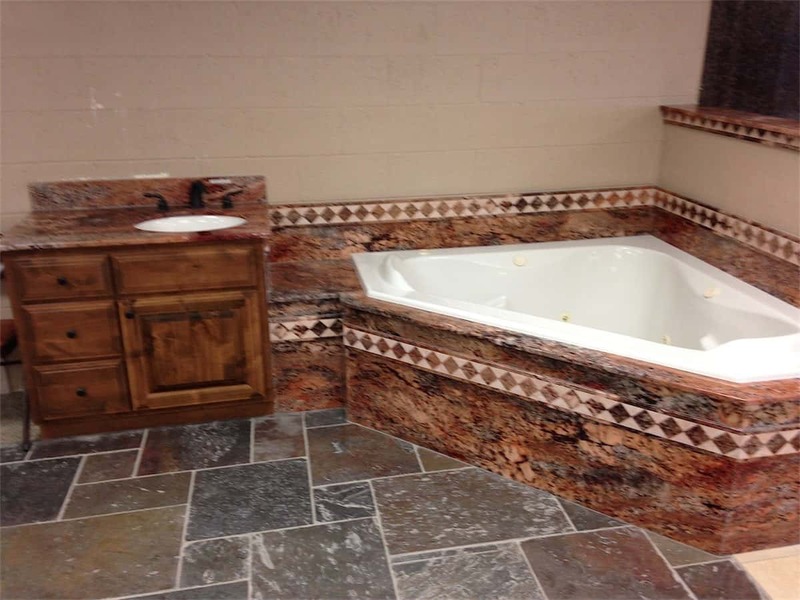 We have Cultured and Natural Stone selections that are sure to meet your budget and style. 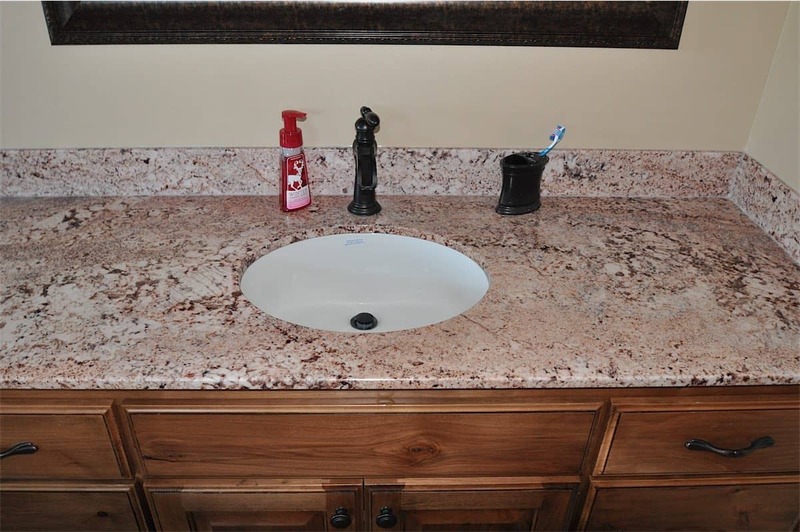 Forget grout lines and tough maintenance. 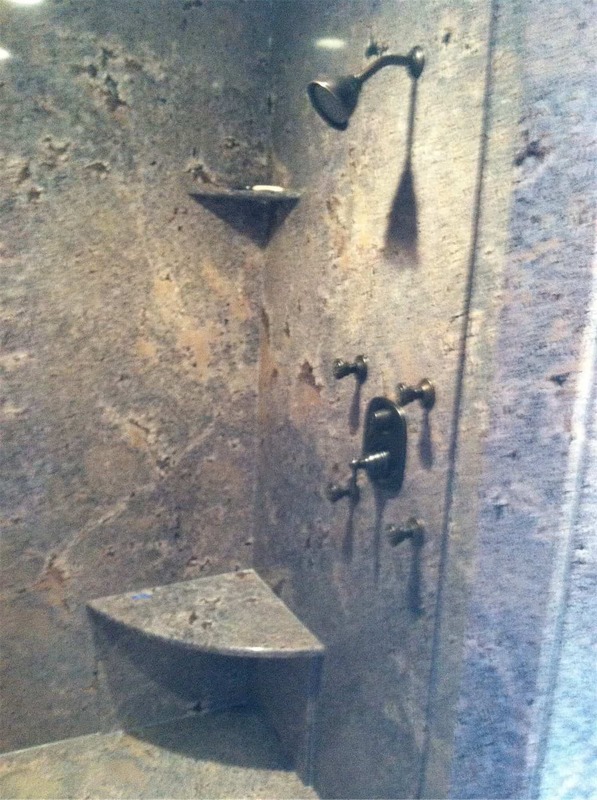 Our shower and tub enclosures offer low-maintenance and an aesthetically pleasing alternative to tile. 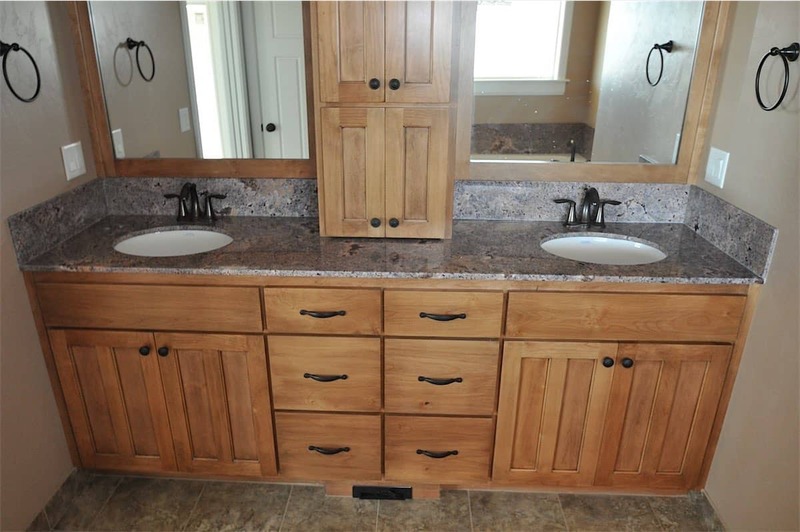 We can install Vanity Tops to match your tub and shower enclosures with under-counter mounted porcelain sinks…many options to choose from. 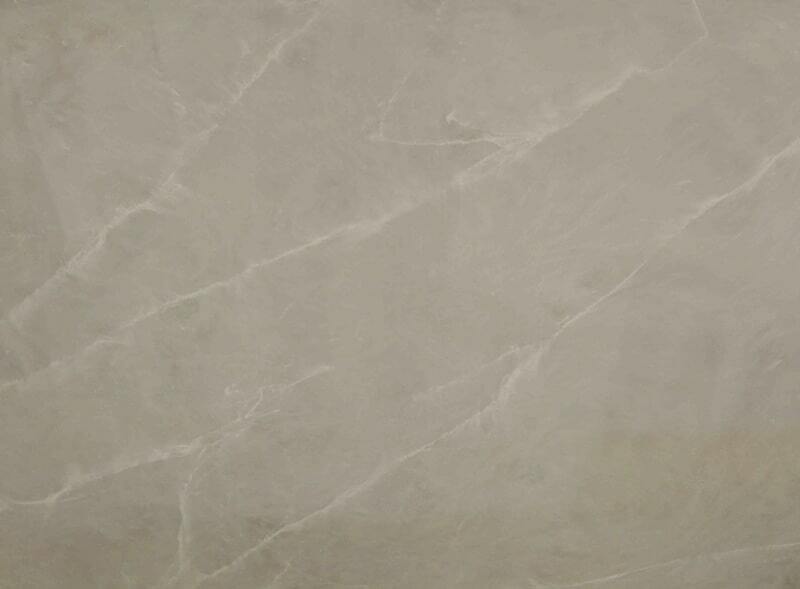 For Kitchens, Bathrooms and other surfaces. 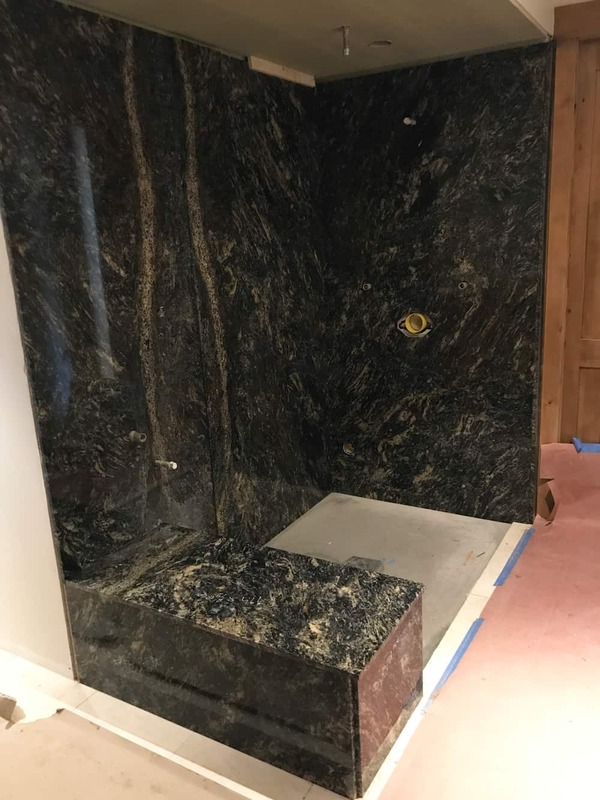 We have numerous stone selections, from very simple to exotic. We are sure to have a selection that you will like. 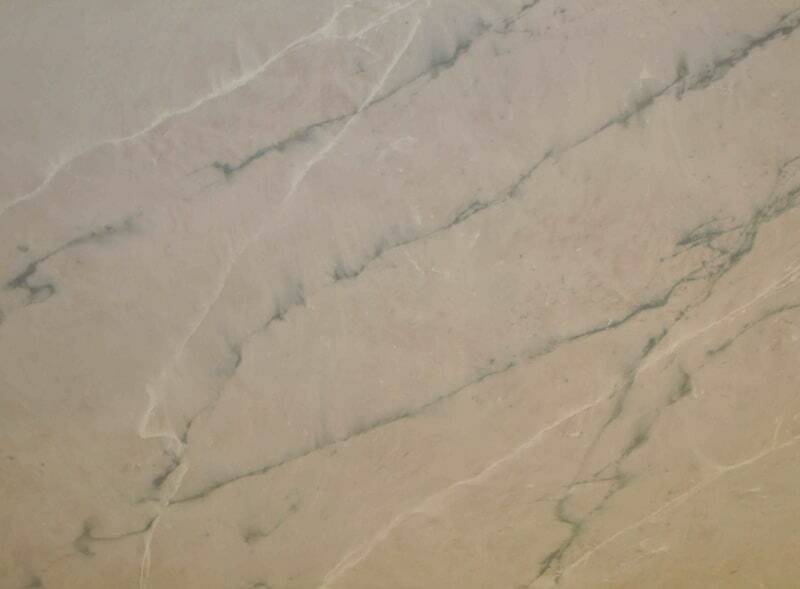 Over 100 Styles of Cultured Marble to Choose From!